Other Appearances: 2011, 2012, 2013. Challenge: First 2013, Third 2012. British Under 21 Championship: First 2013. Southern Centre Championship: Second 2009, Third 2010. Ledbury Leader: Second 2011, 2015. Master of Midshires: First 2013, 2011. Three Pairs Flyer: Third 2010. 2018: First Bridgwater, Second Ledbury; 2017: First Cornwall Solo; 2015: First Mid Cornwall, Second Somerton; 2014: First Bristol, Bridgwater, Second Ledbury; 2013: First Bewdley, Bridgwater x2, Second Bristol x2; 2012: First SWeGA x3, Ledbury, Danebury, Second Bridgwater, Dunmow; 2011: First SWeGA x4, Grassroots, Bridgwater, Third Bristol, Somerton; 2010: First Somerton, SWeGA x3, Swindon x3, Cornwall Solo x2, Equal First Bridgwater, Second Cornwall Solo, Bridgwater, Worcestershire x2, Danebury, Second Fenland; 2009: First SWeGA, Cornwall Solo, Second Cornwall Solo, Third Fenland. 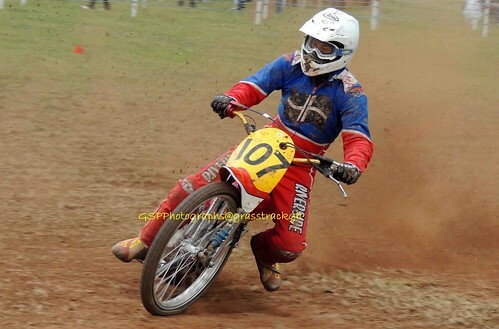 British Youth Championship: Senior A First 2009.